It's that time of year. One week, the trees are bare. The next, they're exploding with leaves and you're frantically digging the lawn mower and gardening tools out from under 75 pounds of yarn. When the earth softens and the air smells gloriously like mud and new roots, I put away my wool and knitting and pull out my plant-dye projects. I'm not a winter dyer, so for me, this season arrives to great anticipation. The sunny spots on my porch begin to fill with herb-stuffed Mason jars. I set my dye pot to another simmer before I pour my early-morning cup of coffee. My kids and I water and weed the dye gardens. My morning run becomes equal parts meditation and dye-plant scouting. As a dyer who prefers to work with whatever the season and my part of the world brings (with the exception of indigo, because everyone knows I got it bad for indigo), my process leads me through a rainbow of soft, glowing colors. Plant dyes are not only processed and bonded to fabric and fiber differently than synthetic dyes, but they also appear different and are, by good argument, different even on a spiritual level. Each one offers a depth and a light that I've never seen in a synthetic dye. These dyes seem to glow from the inside out. 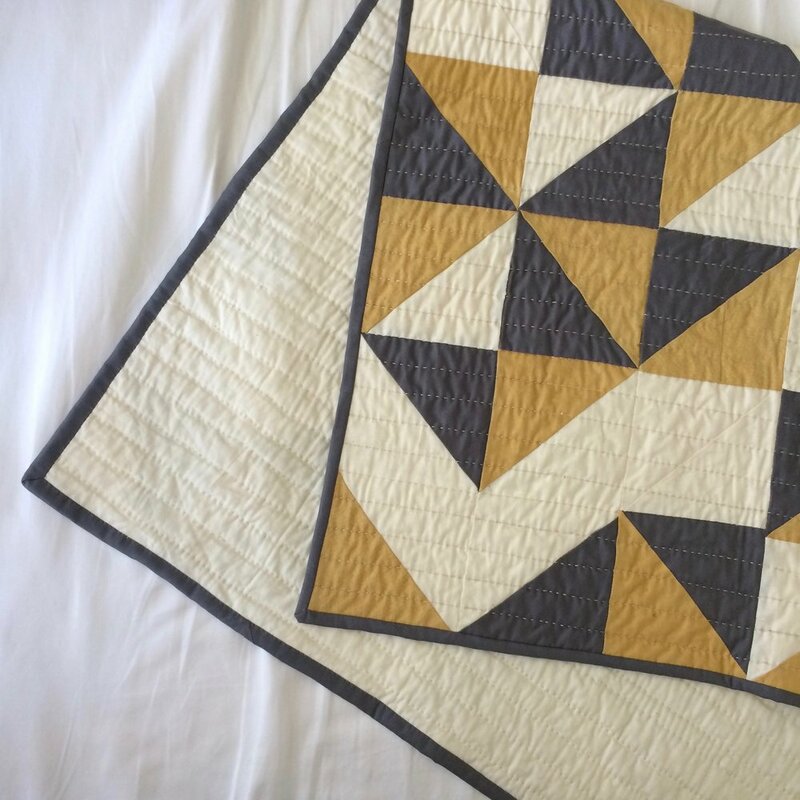 My favorite way to mark a summer is to retire the plants who witnessed it all into a hand-dyed quilt, a skein of yarn, or a set of napkins that I'll use every day. It's my favorite way to memorialize a trip, too. Simply press plants you find on a walk or a hike into a book or two, then throw them in a jar to sun dye when you return home. How many other ways do you know how to send a love note into the past and into the future at the same time? To keep a ray of sunshine forever? To make a postcard out of the actual sun and soil of a place? To wrap up in that summer you went to France, got married, had a baby, or did something you didn't think you could do and did it damn well, too? That's why I dye with plants. Some of the reasons, anyway. I'd love it if you would try to dye with plants, too. The wonderful thing is, it really is quite simple to get started. It's the perfect time for year for a quick beginner project: Gather a few handfuls of either coreopsis or marigold flowers and put them into a large mason jar. Fill the jar with water, screw on the lid, and put the jar in a warm, sunny spot outside for a couple of hours. Spoon out the flowers, add a mini skein of wool yarn or thread (or, if you have it, a square of silk fabric), and put it back in the sunny spot for a few more hours, or let it sit overnight. Ta-da! You now have some beautiful, golden fiber you dyed your own danged self. It's onward and upward from here. I regularly host bundle-dyeing workshops at my home studio. We work with the concepts I mentioned here more in depth. 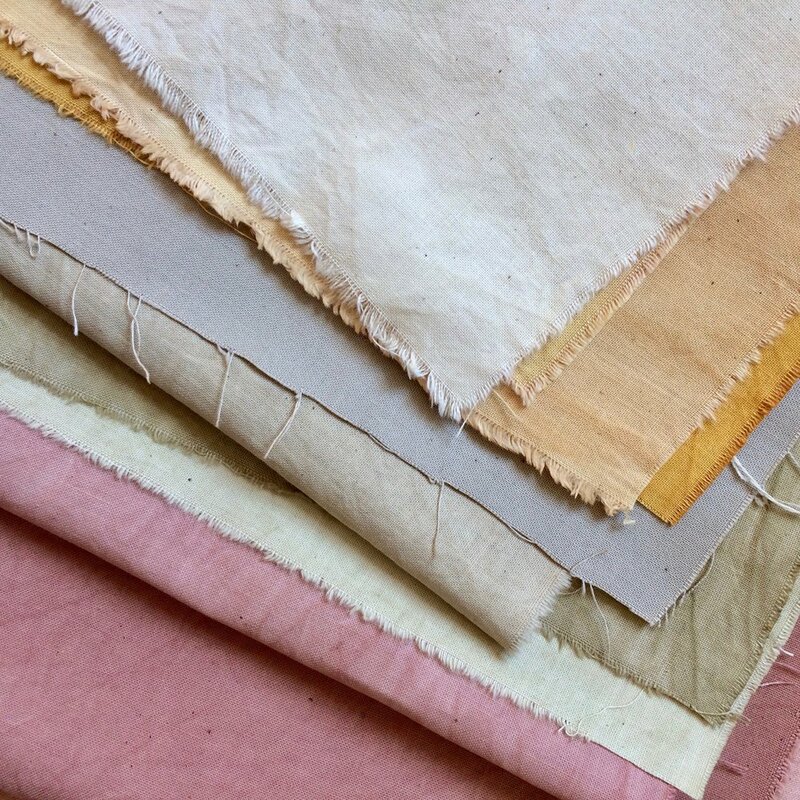 Each student leaves class with a set of plant-dyed, one-of-a-kind table linens. I'll be offering more plant-dyed items in the Etsy shop and in the shop in Tulsa this summer and fall. I think these items will make the perfect gifts, and that goes double if you're treating yourself. I can't wait to show you more about what I've been working on. I'm also thinking about offering some kind of e-course or e-book on plant dyeing. If I were to do that, what would you hope to be part of it? What piques your curiosity the most about plant dyeing? Would you want the course to be project-based—as in, a series that builds your plant-dye skills from one project to the next—or would you prefer for it to be more about the plants and dyes themselves?